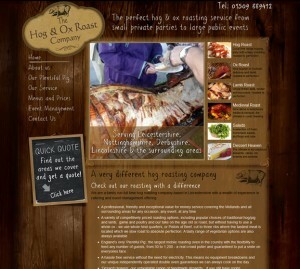 A family run full-time hog roasting company based in Leicestershire offering top quality Hog and Ox Roast and can cater from 30 to 1,200 people. The Hog and Ox Company is a new business venture, the company approached us to develop a new logo and website. The website was developed using WordPress as the Content Management System (CMS), this allows the owners to change any content, image and create new pages. The CMS also keeps Google up to date automatically when any changes are made.